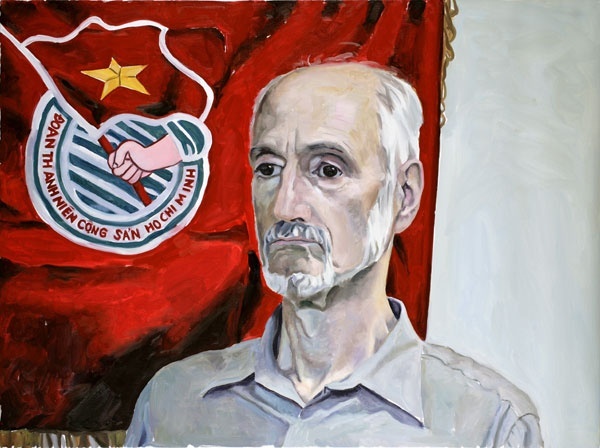 I paint my subjects -- current members of the Communist Party USA -- from life in trivial interiors of their New York offices and wearing everyday clothings. 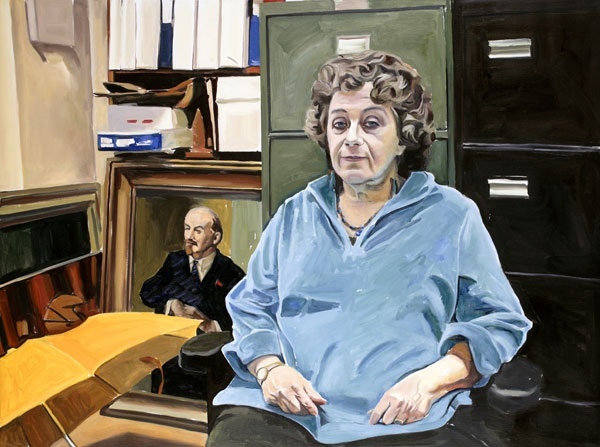 These paintings are a site of struggle against specters of both Socialist Realism and Sots Art, which are inevitably evoked when a genre of a "portrait of a Communist" is concerned. 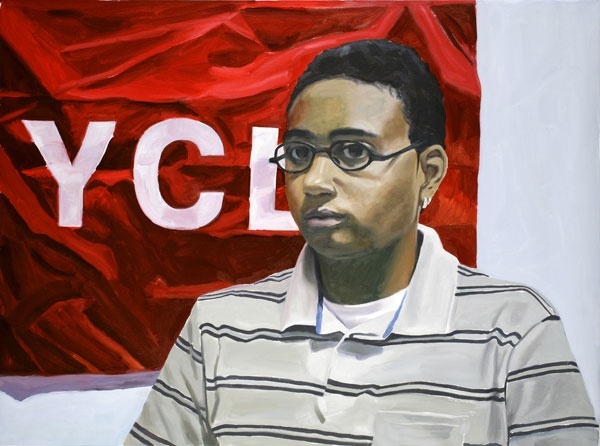 These paintings portray those who identify as Communists in the present-day United States. It's about stating facts -- and the fact is that there are Communists in the USA circa 2006. The existence of Communists in the USA, a quintessential late-capitalist nation, fifteen years after the collapse of the Soviet bloc is highly subversive and problematic for a post-Soviet subject. 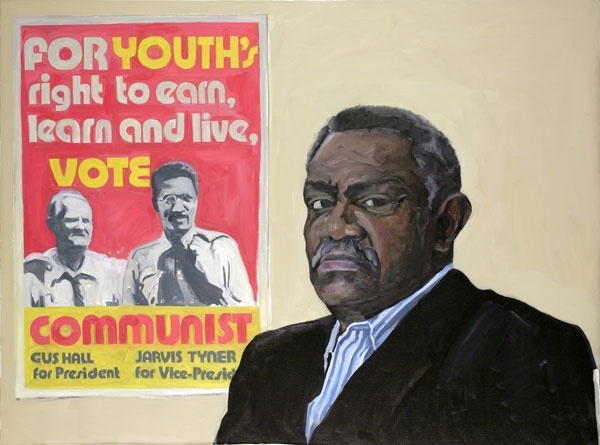 Communism is dead in Eastern Europe but Abdul, Sheltrees, Dan and others whom I painted are living, breathing, and thinking New Yorkers of the 2000s. It's precisely in this context of the proclaimed death of Communism and the end of the Cold War that I focus my attention on American Communists today. It's the contradiction between the notion of death of Communism and a sense of life emanating from those whom I painted that is so disturbing. 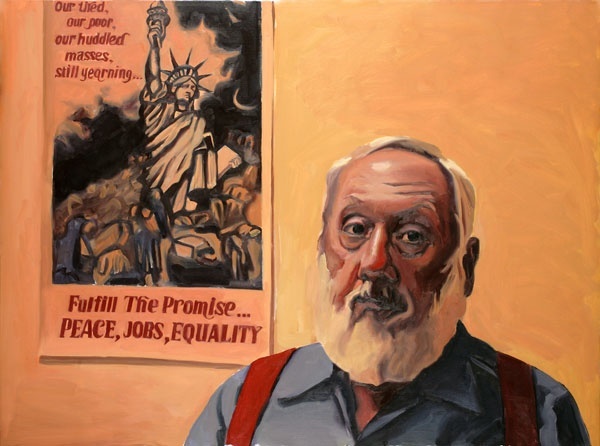 This project is about the meaning of an act of painting a portrait of an American Communist in New York today, in 2006. 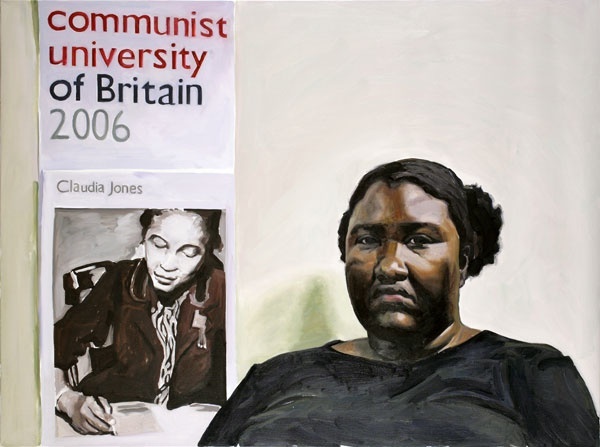 A fundamental question here is How can one approach painting a Western Communist today? From what political, ideological, aesthetic, personal or otherwise position can one attempt that? Does the contemporarineity afford us an option of addressing Communism today with choices that extend beyond the prescribed affirmation, critique, or post-ideological neutrality? Are there any alternatives? 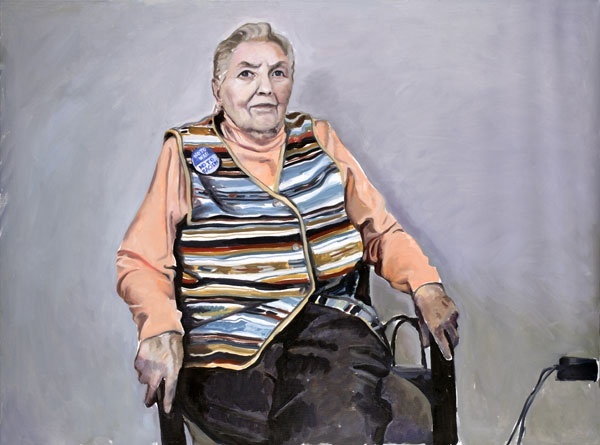 Indeed, these paintings are indifferent toward 20th century ideologies, but not toward their subject. 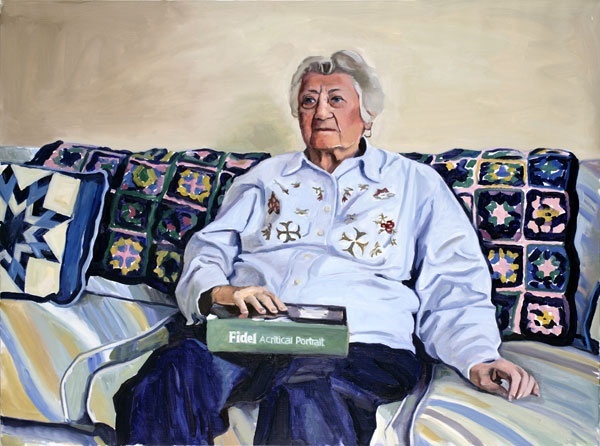 I don’t reaffirm or critique my sitters on the basis of their political believes. However, I'm affirmative and very interested in them as individuals that they are. 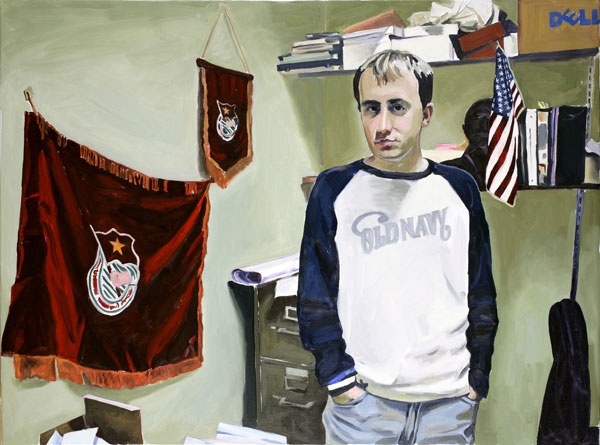 This project is about the politics of everydayness in the West, about the triviality of being a Subject in today's United States, even a Communist subject. 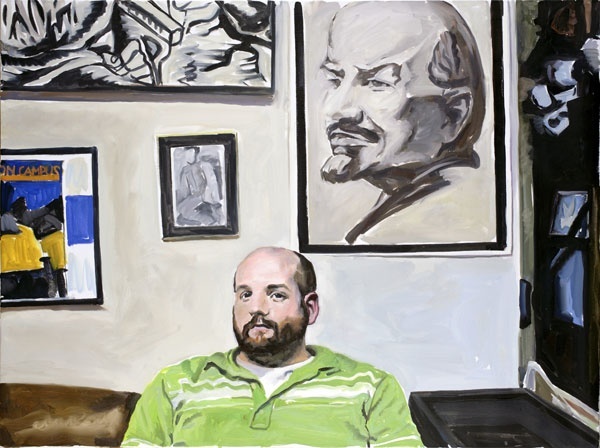 These are portraits of individuals, of Americans, who happened to be Communists.